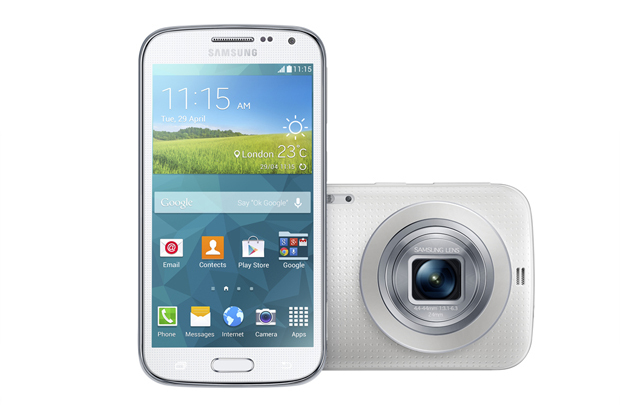 Today Samsung unveiled a new smartphone called the Samsung Galaxy K Zoom. The device is packing a professional grade camera, which suggests the tech giant is taking another stab at creating a camera/smartphone hybrid that we all actually want following the disappointing effort with the S4 zoom last year. When it comes to the handset’s specifications, Samsung really is shouting about the camera and little else. The device has a retracting lens with a 10x optical zoom, a 20.7 megapixel BSI CMOS sensor and an Optical Image Stabiliser (OIS) to reduce blurring. Both photos and video are taking in Full HD and a Xenon Flash provides a bright (and hopefully flattering) light for your images too. The camera also boasts more advanced functions, like AF/AE Separation (Auto Focus/Auto Exposure Separation) for the right balance of light and clarity, 10 different filter settings and even a Selfie Alarm (yep, that’s right) so you can take the perfectly-timed selfie. “We know that our customers all have different demands and needs, and the Galaxy K Zoom is the latest example of our on-going commitment to ensuring we have something for everyone.